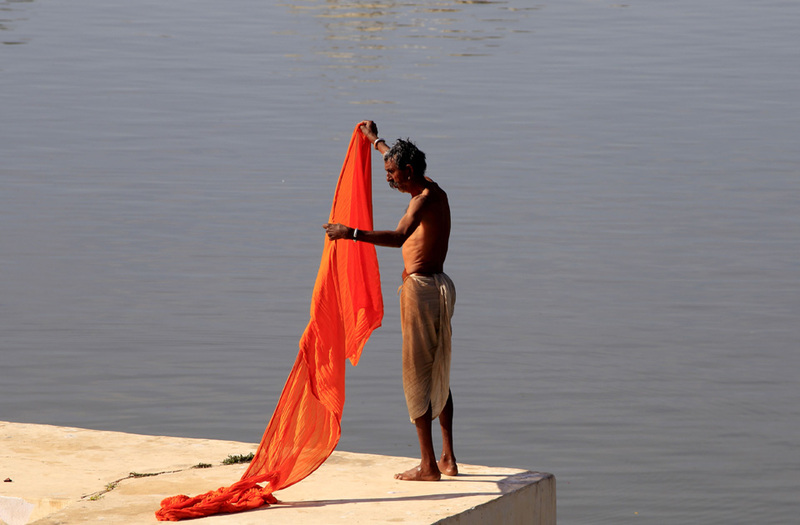 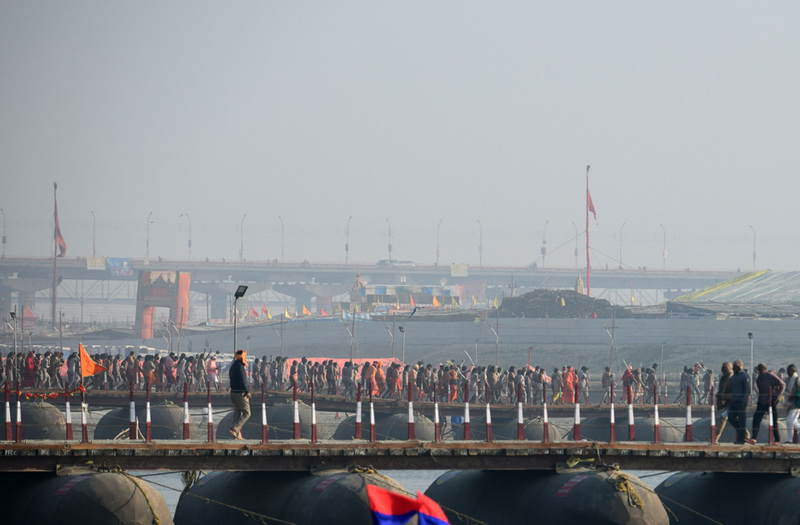 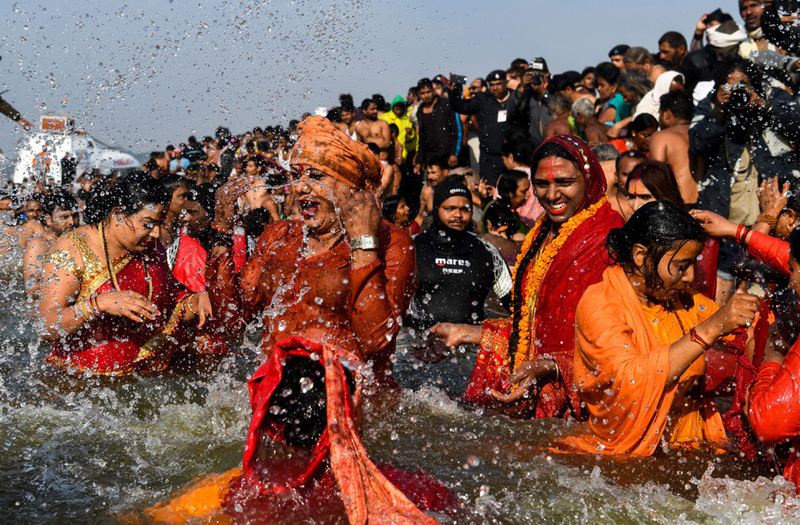 Indian Hindu pilgrims arrive to take a holy dip at the holy Sangam -- the confluence of the Ganges, Yamuna and mythical Saraswati rivers -- during the auspicious bathing day of Makar Sankranti at the Kumbh Mela in Allahabad, on January 15, 2019. 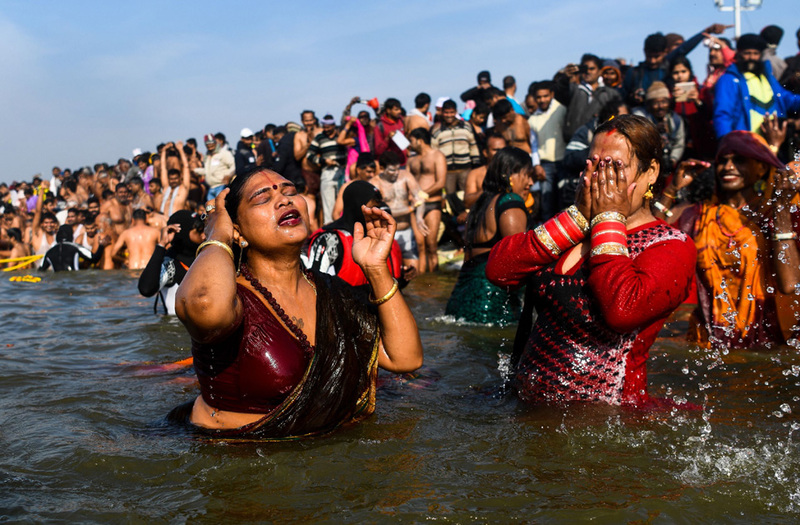 Followers of the Kinnar Akhara monastic Hindu order made up of transgender members take a dip in the Sangam -- the confluence of the Ganges, Yamuna and mythical Saraswati rivers -- during the auspicious bathing day of Makar Sankranti at the Kumbh Mela in Allahabad on January 15, 2019. 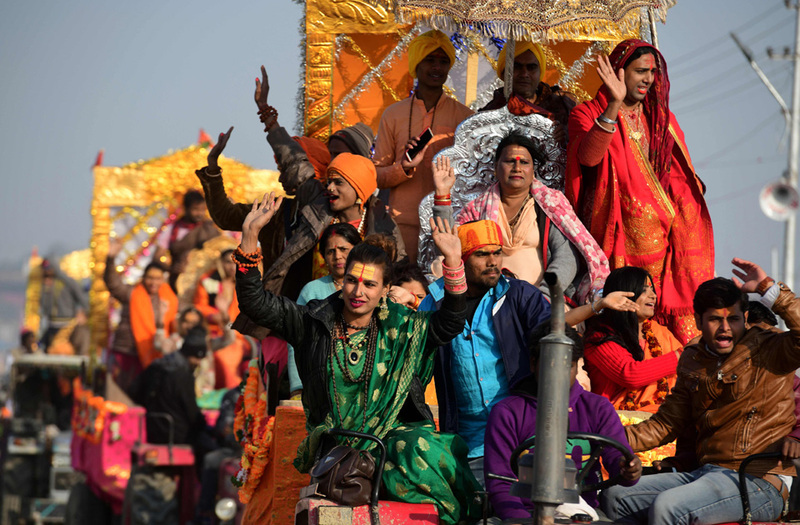 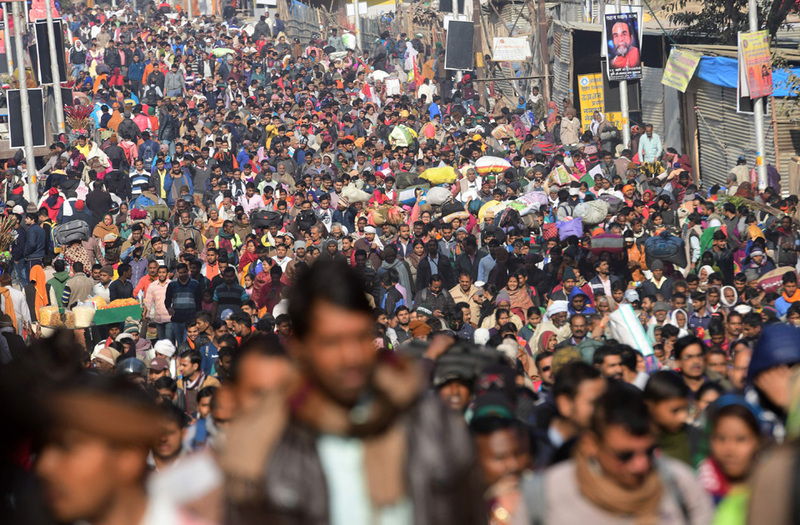 Followers of the Kinnar Akhara monastic Hindu order made up of transgender members ride on a chariot in a procession towards Sangam -- the confluence of the Ganges, Yamuna and mythical Saraswati rivers -- during the auspicious bathing day of Makar Sankranti at the Kumbh Mela in Allahabad on January 15, 2019. 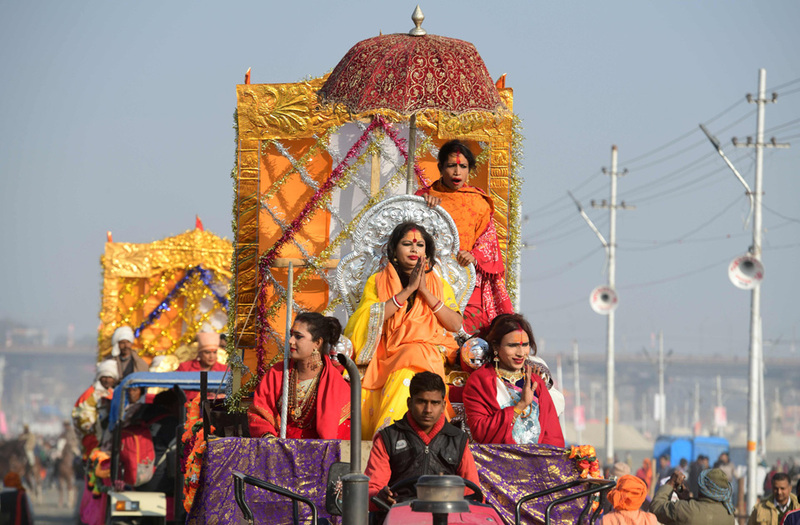 Laxmi Narayan Tripathi (C), a transgender rights activist and chief of the Kinnar Akhara monastic Hindu order made up of transgender members, rides on a chariot with other members in a procession towards Sangam -- the confluence of the Ganges, Yamuna and mythical Saraswati rivers -- during the auspicious bathing day of Makar Sankranti at the Kumbh Mela in Allahabad on January 15, 2019. 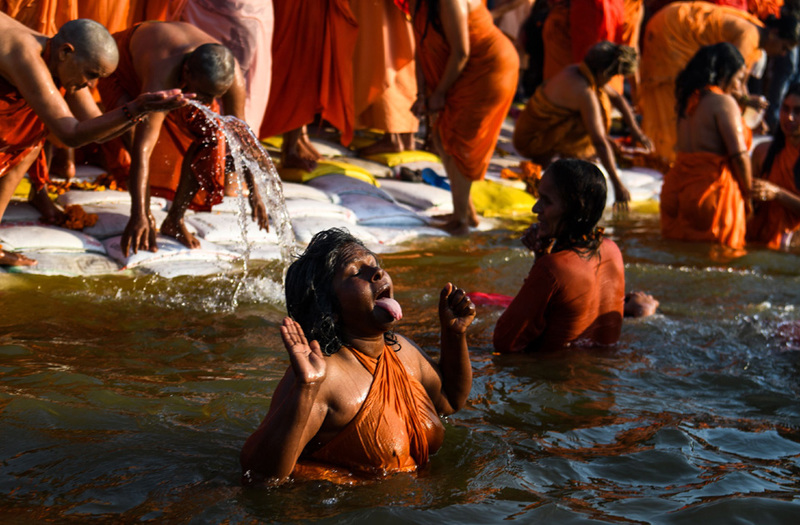 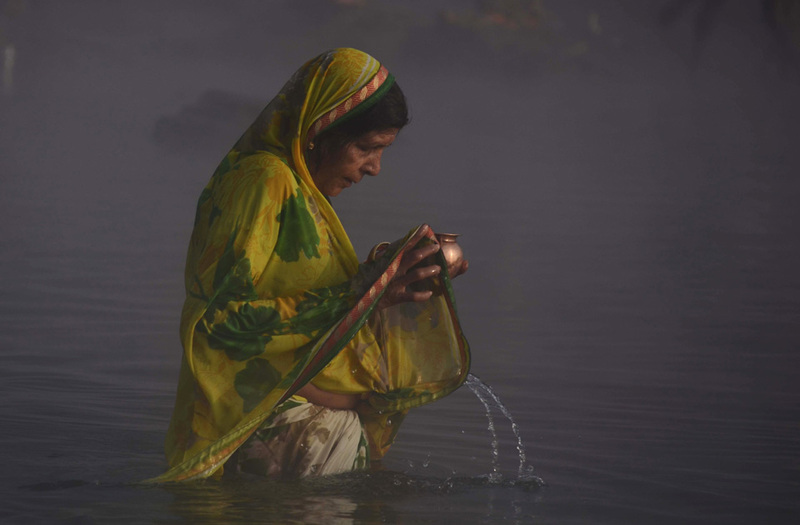 Indian sadhus (Hindu holy women) take a dip into the water of the holy Sangam -- the confluence of the Ganges, Yamuna and mythical Saraswati rivers -- during the auspicious bathing day of Makar Sankranti at the Kumbh Mela in Allahabad, on January 15, 2019. 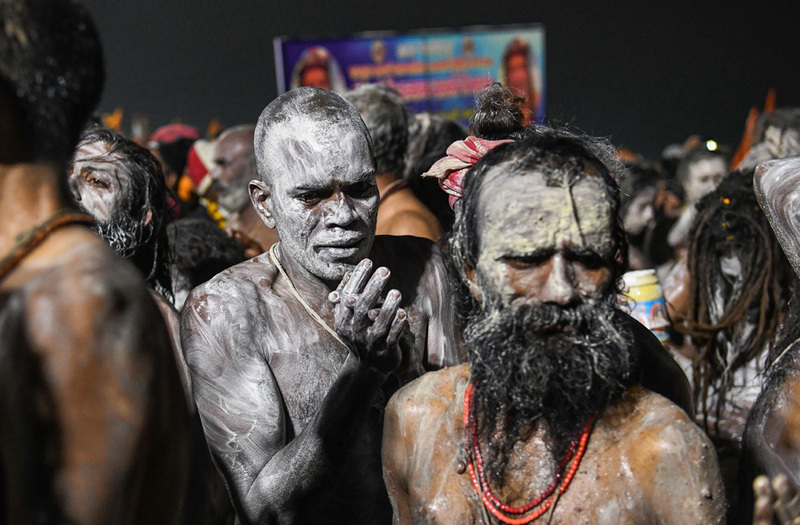 Indian sadhus (Hindu holy men) put ash on themselves after taking a holy dip at Sangam -- the confluence of the Ganges, Yamuna and mythical Saraswati rivers -- during the auspicious bathing day of Makar Sankranti at the Kumbh Mela in Allahabad, on January 15, 2019.